NGC 5367 is a reflection nebula associated with the cometary globule CG12. CG12 extends from bottom center to the upper right for more than 1°. 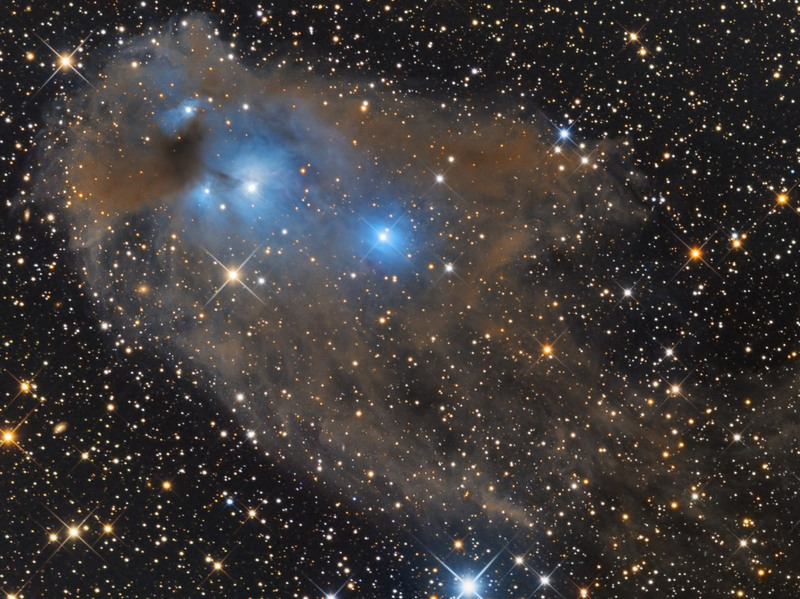 Dicovered in 1976 on an ESO/SRC Sky Survey plate taken with the UK Schmidt telescope, CG12 is in contrast to the most other Cometary Globules, because it is far away from the galactic disk. In fact its galactic latitude is more than 21°. 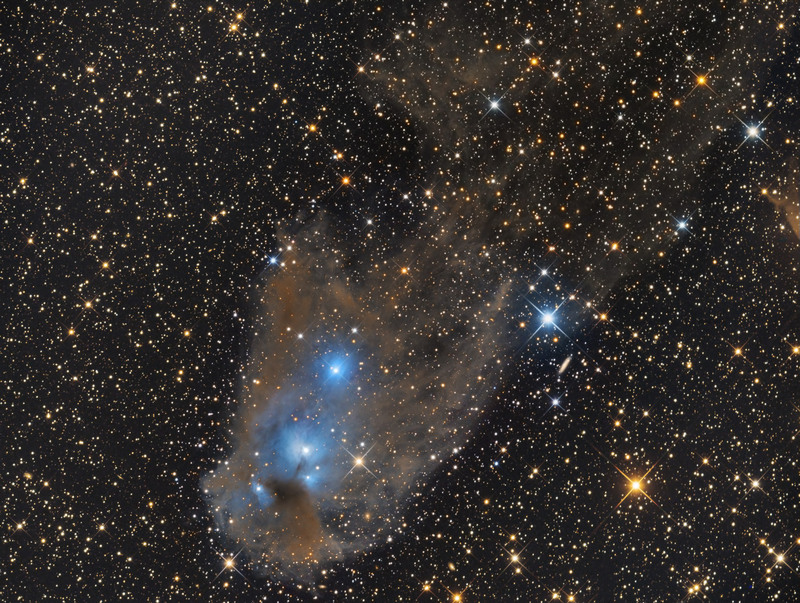 The nebula NGC 5367 (it is catalogued also as IC 4347) reflects light from two bluish stars: the two components of the binary system h4636 (the stars are from spectral type B4 and B7). Further reference can be found here .